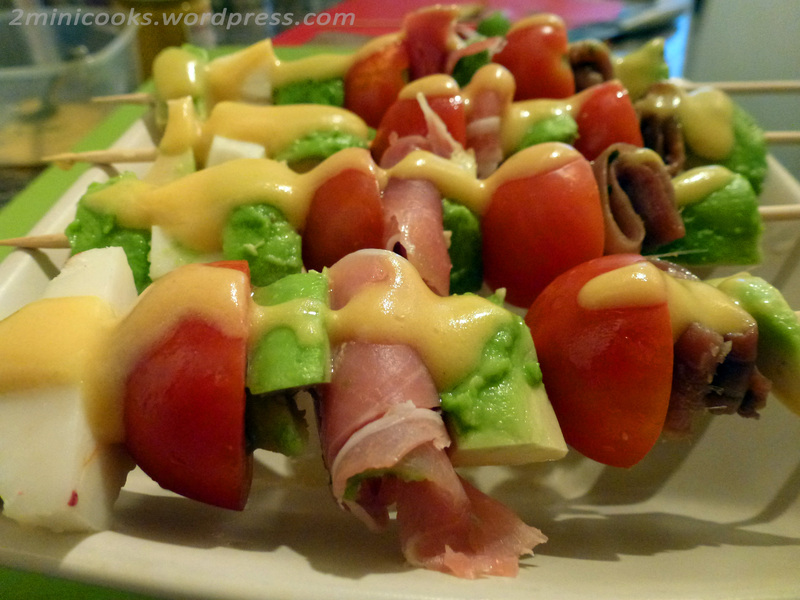 Avocado and jamon serrano skewer. Summer is finally in London… and its time to eat light and easy dishes that do not required much work on the hob in the kitchen. About 75% of an avocado’s calories come from fat, most of which is monounsaturated fat. On a 100 g basis, avocados have 35% more potassium (485 mg) than bananas (358 mg). They are rich in B vitamins, as well as vitamin E and vitamin K.
Avocados have a high fibre content of 75% insoluble and 25% soluble fibre. Last week I bought a whole bowl for a pound in one of the little shops near home and I was thinking to try something different from the well-known Guacamole we made some time ago. 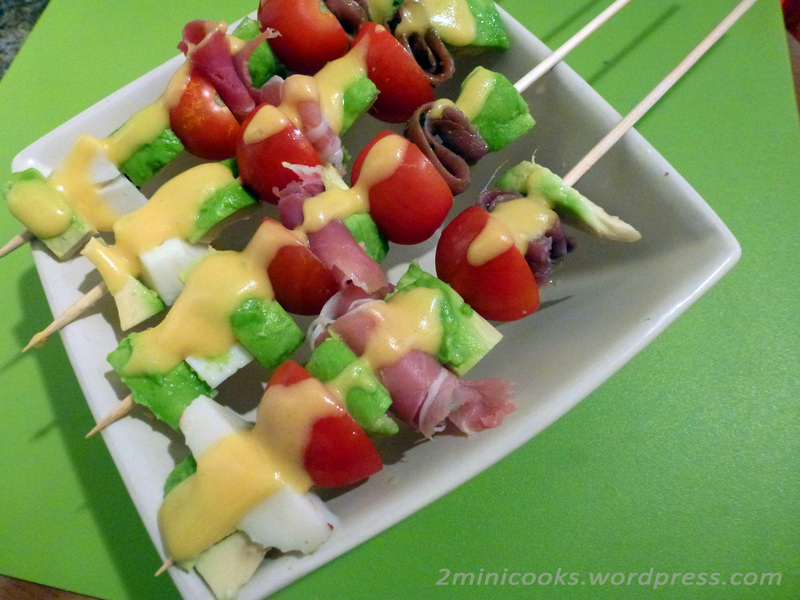 In my recent trip to Spain I bought some Queso tierno and Jamon serrano (and some other good stuff: recipes to follow) so I decided to give it a go and combine those flavours in this easy skewer. For the vinaigrette mix together the mustard, olive oil and lemon juice until you get an emulsion, save for later. Using some wooden sticks prick the ingredients so you get a nice colour combination. I used avocado first then anchovy, half of a cherry tomato, avocado again, Jamon serrano, avocado, half of a cherry tomato, Queso tierno and finally avocado. Put some vinagrette on top and…. happy summer! Si quieres leer la versión en Español de esta receta haz click aquí. This is summer for me … this goes on file ! The last photo … so good.